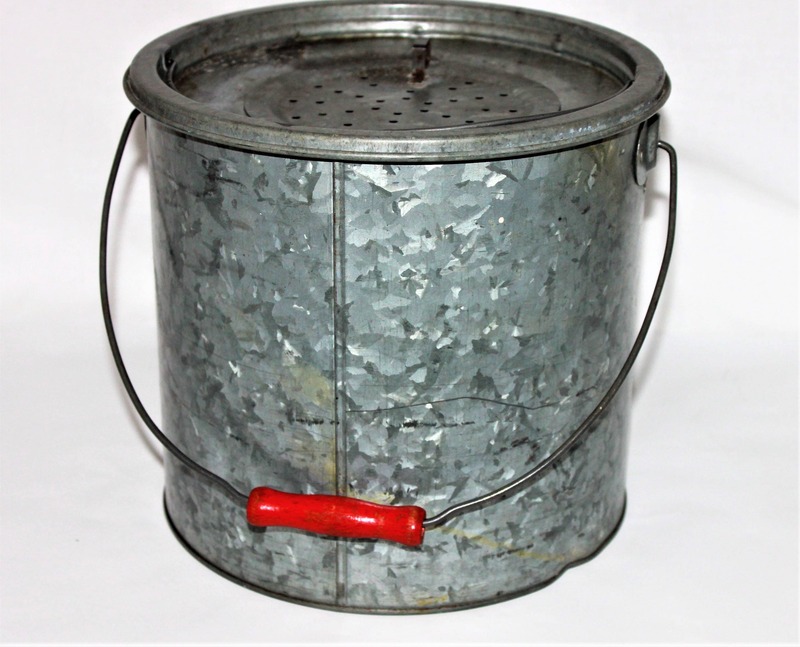 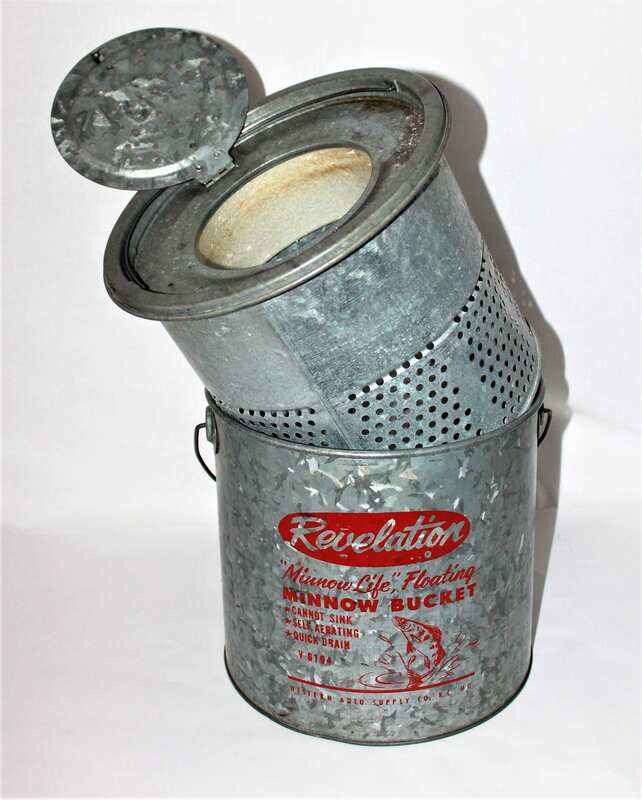 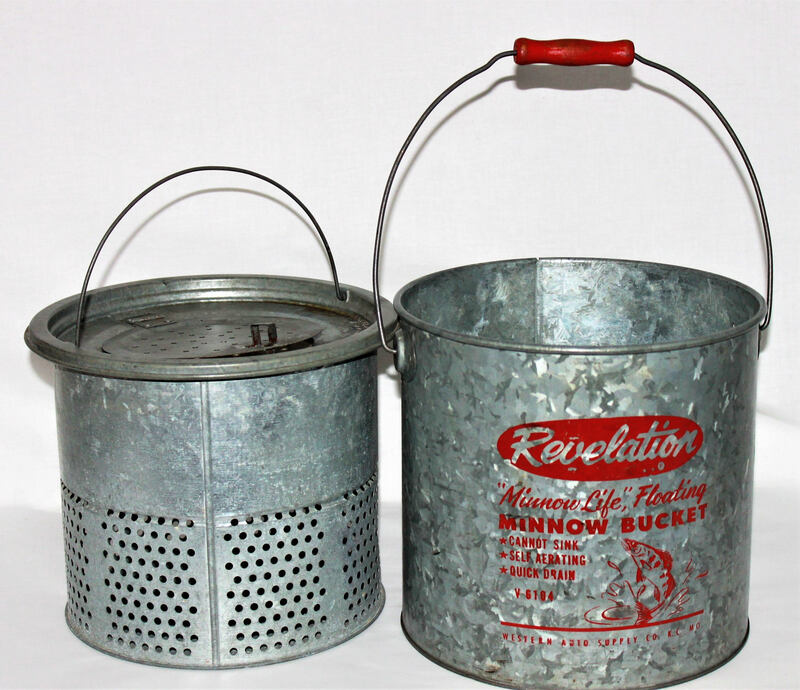 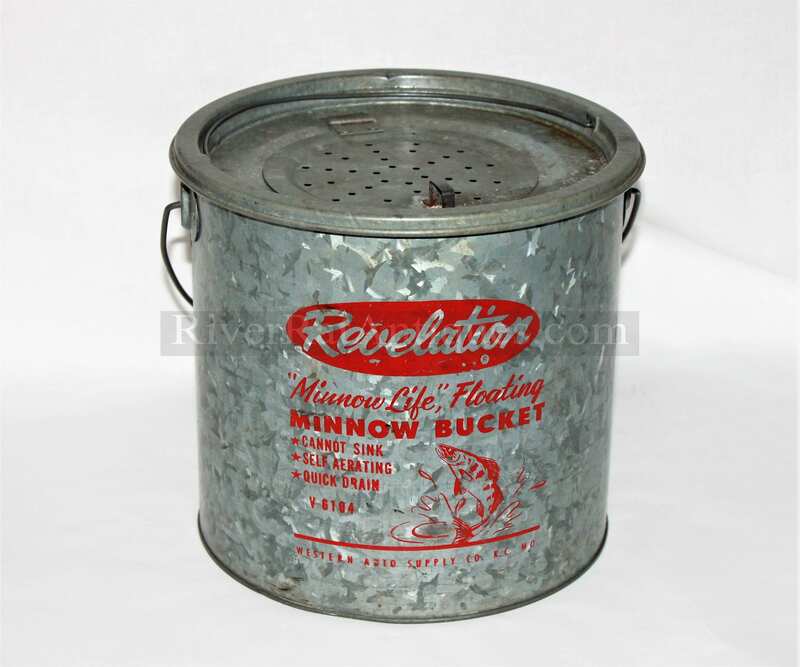 We have for sale a Vintage Revelation “Minnow Life” Floating Minnow Bucket Model #V6104 Galvanized Bait Bucket. 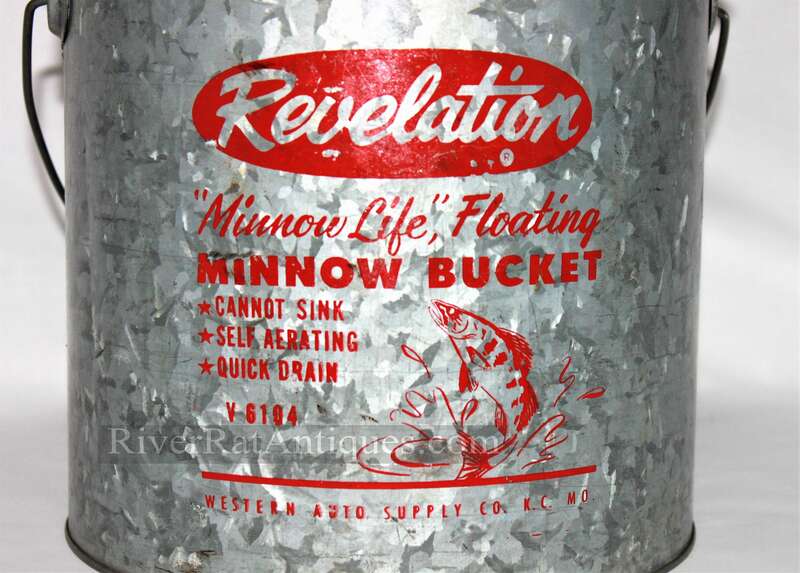 Wonderful 1960s Revelation Minnow Bucket, cannot sink, self-aerating, quick drain. 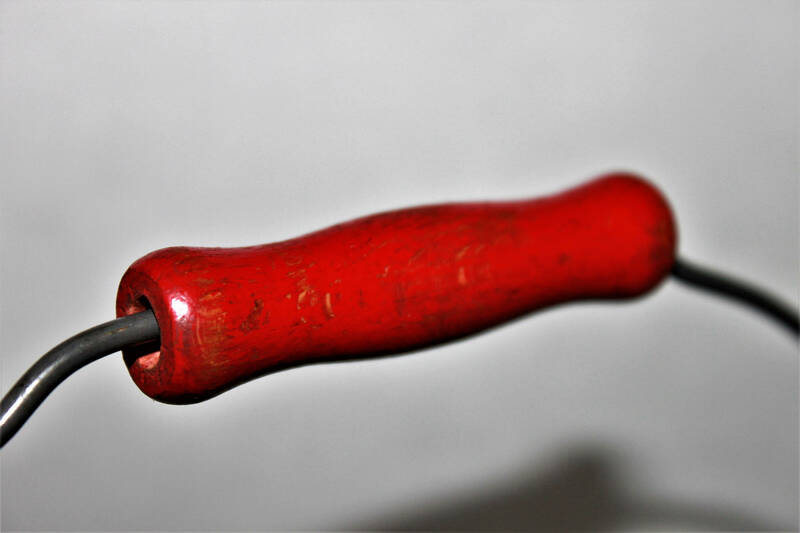 Red painted wood Handle and wonderful vintage patina this will make an awesome décor item. 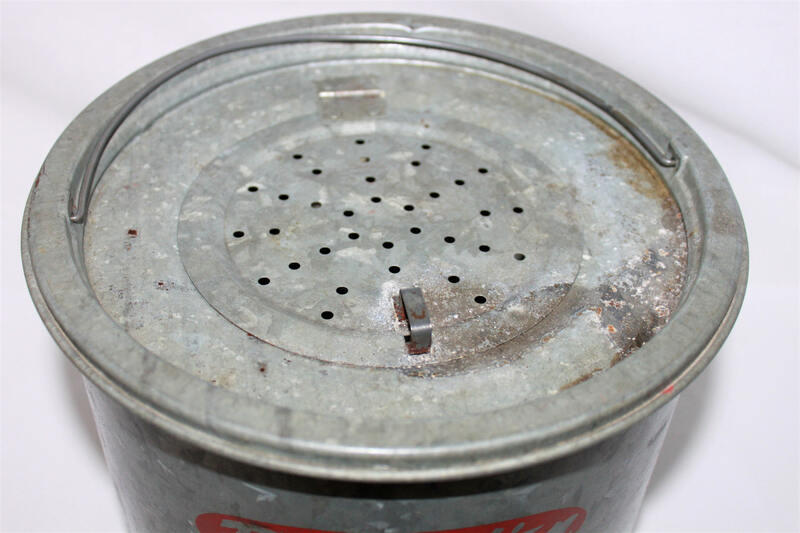 Condition; very good for age, great graphics, very minor corrosion, small dent at base on back side.